From simple to complex events, Wishoo Interactive Technologies wants to be your interactive and lead generation partner. 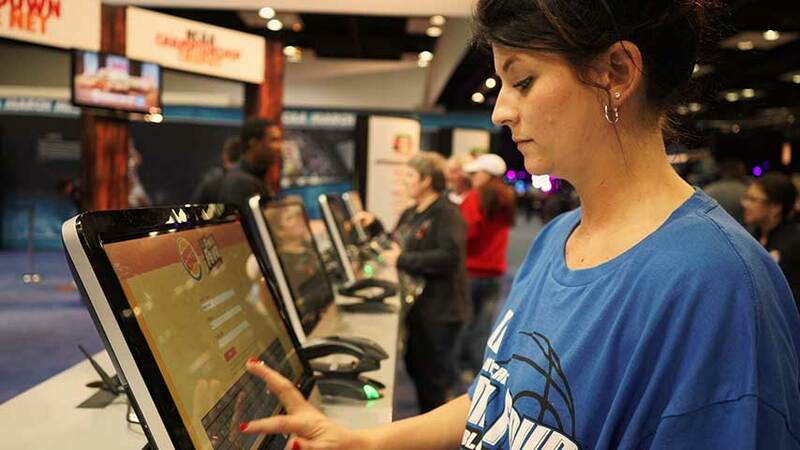 Combining application and hardware solutions allowing guests to register with email and social sharing credentials upon entering the Burger King zone at the NCAA Final Four, offering guests the opportunity to choose 1 of 4 videos and record themselves lip syncing to that video, emailing and sharing their video socially as well as displaying on the Super Sign in Times Square for the premiere of Lip Sync Battle, Wishoo Interactive Technologies utilizes our M2M solution platform to provide guests a great brand experience while delivering measurable ROI to event marketers. Developed a registration and spin-to-win iPad app for Alaska Airlines.